Far flung needs for safe drug administration pertaining diabetes has necessitated adoption of sophisticated drug delivery modes such as diabetes pens. Soaring instances of diabetes round the globe owing to sedentary lifestyle has further augmented demand upsurge for diabetes pens. On the flip side however, emergence of alternative therapeutics are expected to daunt growth substantially in forthcoming years. These market highlights are in sync with Market Research Hub’s (MRH) recent report addition titled, ‘Global Diabetes Pens Market 2019 by Manufacturers, Regions, Type and Application, Forecast to 2024‘ included in its fast expanding online data archive. Dotted by several established industry veterans along with new entrants, diabetes injection pens market is poised to witness substantial progress in terms of product innovations and portfolio differentiation. Technological innovations therefore remains crucial besides other strategies such as parallel acquisitions and buyouts. User convenience and safety remain crucial amongst lead vendors seeking portfolio differentiation. Banking on product innovations, pharmaceutical giant, Novo Nordisk is all set to unroll its pioneering flagship smart diabetes pens to integrate digital health solutions with innovative drug delivery systems. To spearhead its innovative diabetes pens market, Novo Nordisk has entered into collaborations with Roche, Dexcom, and Glooko. The development is expected to not only position Novo Nordisk favorably on the growth chart of diabetes pens market, but also pave way for flourishing market growth. This detailed research report on diabetes pens market aims to offer readers with decisive insights on market performance and market valuation in terms of both historic and current market performance to derive accurate forecast valuations pertaining diabetes pens market. 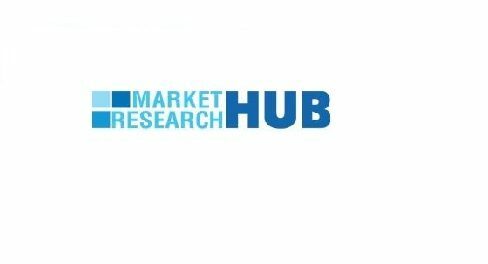 The report opens with an executive summary section followed by market overview, inclusive of market definition and dynamics such as drivers, restraints, threats, and challenges that shape growth in diabetes pens market. The report in its succeeding sections also includes deep-set details on market segmentation based on which diabetes pens market is fragmented into type and applications. On the basis of type, diabetes pens market is classified into reusable and disposable insulin pens. Based on applications, the market is further split into hospital and clinics, retail pharmacy, and online sales channels. The report further discusses regional segregation and demand distribution of diabetes pens market based on which the market is demarcated into Europe, North and South America, Asia-Pacific, and Middle East and Africa. Thorough research elements documented in the report allow readers to derive firsthand cues on dominant players in diabetes pens market. Each of the profiled players has been thorough evaluated on core industry standards, including details on their company and product overview. A SWOT analysis has also been included in the report to aid readers’ understanding on competition strategies adopted by lead players and their reciprocal implications on holistic growth route of diabetes pens market. Information as such are aimed to aid market players in delivering tactical business decisions and investment deals, thereby securing their leading stance amidst stiffening competition in diabetes pens space.